Invest NIS pension money in CLICO! If the government is looking for an investment for NIS money, why doesn’t it invest in restructuring CLICO as has been recommended by the Judicial Manager? At least this would benefit BAJANS, many of whom are retired and in dire need. There was never anything wrong with CLICO as a company – it always “did” very well indeed. The only problem with CLICO was the “teefing” hierarchy and with those persons gone and a new directorate and management in place, together with mindful marketing strategy, a restructured and renamed company should be successful and beneficial to all. Sure, I have money invested in CLICO and, obviously, I need return on it so I can eat and lead the modest life I had planned for my retirement. I am over 60 with virtually zero likelihood of employment. There are many in similar positions. Before investing in CLICO (2005) I carefully read the Insurances Act and understood that government regulatory control made sure that if a Life Ins. Co. was not it compliance, as set out in the Act, it would be shut down; that mandated statutory funds would ensure protection of policyholders’ investments should the company go “belly up”; that regular inspections by Department of the Supervisor of Insurances would ensure statutory funds were at required levels using approved instruments. There is no way I expected to be betrayed by government flouting the laws of the land as it appears to have done. Immediately after winning the January 2008 election, groups of DLP Members of Parliament were rotated through a week in Miami ostensibly to familiarise themselves with our consulate operations in that city. 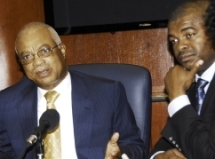 Why is Leroy Parris still Chairman at CBC – Caribbean Broadcasting Corporation? It seems strange that despite the continuing saga at Clico, Mr. Leroy Parris is still in charge of a Government owned entity…..and one charged with delivering the news to boot! Barbados Prime Minister Thompson was lawyer for CLICO when they failed to file financials for 13 years! Then as Prime Minister he bailed them out with your tax dollars. While CLICO and its associated companies cooked the books and failed to file legally-required financial statements for 13 years, David Thompson was CLICO’s lawyer. Mr. Thompson and his law firm represented Clico and Leroy Parris in many of the transactions that are rightly questioned by the poor victims. There. That was pretty simple, wasn’t it? “To simplify it, the post Cyril Duprey leadership of CLICO took the company on a journey that no well-regulated and properly managed insurance company ever can or would take. Investments of insurance companies funds are regulated by law and are there to protect the people to whom the funds are owed. In CLICO’s case, insurance funds, held in a fiduciary relationship for pensioners, policyholders and depositors, were used to invest in high risk asset purchases, many of which made little or no returns. Sugar plantations and other distressed real estate in Barbados being glaring examples. Interest rates promised to depositors were well above normal commercial rates offered by banks or other insurance companies. This financial model is not a viable equation for any business far less for an insurance company. Policyholders, depositors and pensioners of insurance companies expect prudence, low risk, high security and integrity from their insurers and their managers. They also should be able to place confidence in regulators to ensure compliance. Yet this was allowed to happen right under the noses of the financial regulators across the Caribbean. Why did this happen? We must find out. Most of us ordinary folks never seem to have the time, education and family guidance to become interested early enough in global economics or in global anything. It is our nature or nurture to think only locally. We hold an item in our hands in the village retail store but we do not wonder or even know that the same item from the same factory is sold all over the world at widely differing prices. And we never consider that the price can be thought of in money, in time or any number of other methods of quantifying and comparing value. 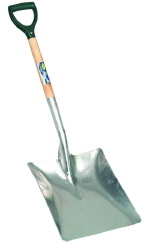 In New Jersey I can buy a good quality shovel with my pay from one hour of work as a welder. North of Mumbai that same shovel from the same factory is only half the price in US dollars – but it now becomes a week’s worth of work for a welder. Why is that? How does money work? If I can’t really understand the pricing of a common item like a shovel, how can I understand what just happened in Europe where it looks like the world is arranging another bail-out for irresponsible spendthrifts and crooks – this time the profligate Greeks? How do all these give-aways and bailouts impact a person of ordinary means living near Grape Hall, Barbados? What should I do with my modest income, and even more modest savings and investments? How should I plan the next five years to put my family in a stronger position when nobody knows what financial storms are just over the horizon? These are not calm waters for anyone and many, indeed most, of those talking heads in government and on TV who offer financial advice appear to be the same ones who caused this mess. An old friend recently sent me a piece from John Mauldin’s Outside the Box financial column at Investors Insight.com. The profits that were taken from the company by Leroy Parris, Dupris and friend Prime Minister David Thompson are theirs. The losses? Well… those losses are on the backs of you, me and our children and maybe the next couple of generations. That is what Thompson, Parris and the rest of the CLICO clan are doing to you and to me.